Hot Toys released a cryptic teaser image for an upcoming figure. The photo is a close up of a Marvel Comics style Punisher Skull on a figures chest. Most speculation seems to point towards this being a repainted and retooled War Machine, possibly the Mark III armor. The concept should be a familiar one to modern Marvel Comics fans, as Frank Castle had indeed taken over the War Machine, as seen in a series of Punisher comics in 2016. Those stories were collected in The Punisher: War Machine Vol. 1 and The Punisher: War Machine Vol. 2. We will » Continue Reading. 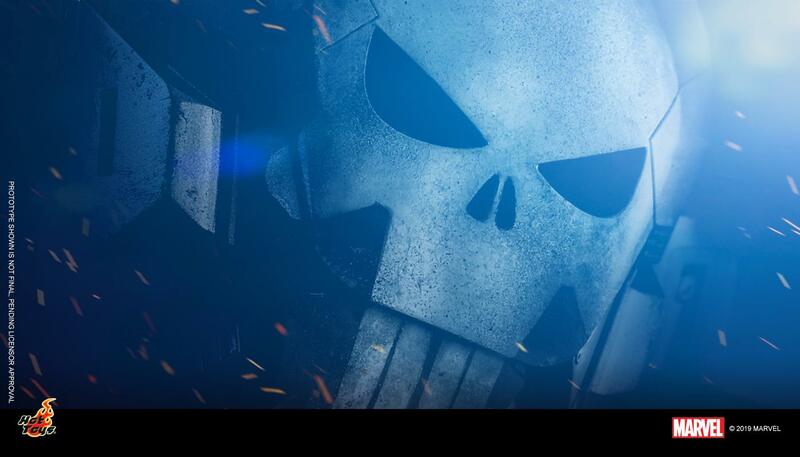 The post New Punisher Teaser by Hot Toys appeared first on The Toyark – News.